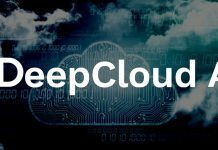 ‘Celer Network is an internet-scale, trust free and privacy preserving platform.’ It is run on top of existing and future blockchains, in which highly scalable decentralized applications can be built and operated on in a timely manner. It uses an off-chain scaling solution called cStack to provide speed and flexibility. cStack includes the bottom layer, cChannel – a generalized state channel and side-chain suite, cRoute – a provably Optimal value transfer routing layer, cOS: a Development framework and run time for off-chain enabled applications and dApps: an application ecosystem allowing for billions of off-chain transactions. Celer Network also has a function called cEconomy in which aims to add additional value and enable new dynamics to the token model, balancing out the trade-offs which off-chain scaling creates. It does this through the three components of proof of liquidity commitment, liquidity backing auctions and the state guardian network. Mo Dong – Co- Founder – PHD from UIUC in Computer Science – Experience for 4 years as founding engineer and product manager at Veriflow – Worked in highly scalable core network verification algorithms. Teaches full-stack smart contract courses. 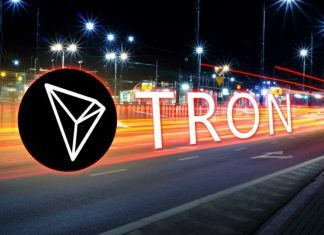 Led project which revolutionized TCP in internet and increased cross continent data transfer speed by 10x to 100x with non -regret learning algorithms. Junda Liu – Co-founder PHD from UC in Computer Networks. Software engineer and senior engineer/platform networking, Senior Android Engineer for Google since 2011. Xiaozhou Li – Co – Founder – Princeton university PHD in Computer Science. Research Experience at Microsoft and Princeton University, Software Engineer at Barefoot Network – Network computing to accelerate distributed applications. Quinkai Liang – Co- Founder- PHD from MIT in Computer networks. 5/5 GPA. Worked as software engineering intern at Google, research assistant for MIT labs. Pengying Wang – Business Development & Marketing – Vice President of the China Initiative Program, Experience as a Research assistant and business development intern. Graduate of Boston University in International relations and affairs along with BBA international. Alex Wu – Product designer – Product Designer for SAP, User Experience Design Lead for TED, Degree in Media Design and Design for Social Innovation. Kirby Ong – Community Manager – Experience at Taxa, Energi Core, Phantasma, Cognida, ANKR. Sirong Li – Marketing – Business development for TuSimple, Project manager for LifeFoundry – Degree in Business Analytics from Uni of Rochester and Business administration in management, marketing and supply chain management. Yan Zhang – Engineer and Mobile Platform lead – Founding Engineer for Prynt, Founder and CTO of Yun Plug and DIY Phone Gadgets. Lead Architect for Huawei Technologies. Senior mobile platform solutions Engineer and more. Dr Christos Kozyrakis – Technical Advisor: – Professor of Electrical Engineering and Computer Science at Stanford Uni. Interested in secure and energy efficient distributed systems. Alan Mischechnko – Technical Advisor – Research Scientist at UC Berkeley for 16 years. Experience in building fast and scalable tools for design automation along with verification methods and more. Shoucheng Zhang – Advisor – Professor of Physics at Stanford Uni – PhD in Physics. The founders experience in technology is impressive with all founders having a mixed background in Computer science, networks, software engineering and development. Top company work experience in senior roles at Google and other notable companies. There is a very strong tech background however there seems to be a slight lack of business acumen with no mention of marketing, business or management financial roles of the founders. The business and marketing team although not mentioned on the website yet, have a strong background in marketing, public relations and community management. However they seem to lack any business development or management roles in which would help in the adoption and execution of the Celer Network project. A full release of the team is expected soon and we assume more members will be announced in this regard. This is the same for the Technology team, currently there is only one listed worker Yan Zhang. He is very experienced working in over 5 companies including Huawei as CTO and a Founder and lead architect/solutions engineer in other projects. The Tech experience amongst the founders flows on here as well offering support in development. Advisors mentioned have technical backgrounds and are intelligent with degrees of Computer Science from Stanford and experience as a research scientist at UC Berkeley. Their experience in developing scalable tools is relevant for the Celer network project although there is a lack of blockchain/cryptocurrency and business experience amongst the advisors. Overall the team is very intelligent and has the relevant technical expertise for such a project. The downside is a slight lack of blockchain experience in the currently mentioned team along with the business team missing business development and management experience. As mentioned the full team is expected to be listed on the website soon which should hopefully see these concerns removed. cChannel – the bottom layer and is a generalized state channel and side-chain suite with the capabilities of supporting fast and generic off-chain state transitions. cRoute – a Provably Optimal value transfer routing mechanism achieving a higher throughput. cOS: The development framework in which provides network effect, stable liquidity and high availability for the off-chain ecosystem. There is also the cEconomy which helps resolve the trade-offs that are created by the off-chain scaling such as the scalability vs liquidity and scalability vs availability trade-off. The three components of the cEconomy include a Proof of liquidity Commitment, Liquidity Backing auctions and state guardian network which are explained in more detail in the Technology section. The project is Based in USA however Incorporated in Singapore. There is a large competition in projects trying to utilise off-chain scaling to achieve scalability of payment systems including Bitcoins Lightning network, Raiden Network, Trinity Protocol and more. Celer aims to be blockchain agnostic and more than a payment channel. They support generalized state channel such as multi party game, second price auction bid etc. Celer is aiming to overcome competition through strong partnerships with notable on-chain solutions such as Quarkchain and QTUM in which a combination of their on-chain scaling will work complimentary. Also Celer Network is not just aiming at being a payment processing platform they are aiming to scale a variety of blockchain use cases unlike many of their competitors. The competition outside of cryptocurrency is not very relevant here with Celer Network aiming to solve a problem within the blockchain space leading to mass adoption by enterprises in the future. The RDN token is only 1.09X in USD terms since ICO last November. Trinity Protocol is down to 0.31x since the ICO in January. Lightning network has worked well for Bitcoin reducing transaction costs and increasing speed within the network. The challenge of being Adopted in the market as the go to off-chain scalability solution solving issues in the current blockchain space will be difficult. There needs to be a strong execution plan in place and currently Celer Network is lacking so. The lack of business minded or management position roles in the team may play a role in the business challenge going in-line with the ability to be adopted and execute the business plan. The high competition in the market as mentioned poses a strong challenge for Celer Network to differentiate themselves on a technological, marketing and business level. The competitions poor growth since ICO also hinders the prosperity of such off-chain ICO’s and Celer will have to be ready to exectute. negative competition growth, high competition etc. The whitepaper is Lengthy and detailed. There Is a Clear contents outlining the paper, Introduction, explanation of idea, technology, blockchain usage, models, technological challenges, trade-offs, Token metrics and the Team. Read the full whitepaper here. There is a strategic partnership with Quarkchain, with QKC offering a horizontal scalable solution using on-chain sharding which can work complementary with Celer networks off-chain scaling platform. They are targeting the scalability of blockchain together. There is also a QTUM partnership in which Celer Networks off-chain scaling solution will be developed and integrated on QTUM. Celer will develop its off-chain scaling solutions on top of QTUM to further boost its scalability. To read more about these partnerships visit here for the QKC and here for the Qtum. There are high value venture capital firms as Early investors including Pantera, DHVC, FBG Capital, STABLE. Although the idea of off-chain scaling is not unique, Celer Network offers an innovation to these ideas with the layered architecture also complimented by the cEconomy helping to add incentive to the liquidity in the market. It is good to see the solutions to the trade-offs being a main functionality of the platform. Bitcoins lightning network has been effective and thus popular in the ways of improving the payment processing time and cost of Bitcoin which adds a large part of competition to Celer Network. Other competitors such as RDN and Trinity have failed to catch a large market share which can be seen a both positive in the sense of opportunity for Celer Network to take market-share or negative as it may show off-chain scaling is currently not very popular and demand is low. This can also be seen with the low or declined growth rate of competitors since their ICOs. The challenge of executing this project will prove to be difficult as the off-chain scaling solutions are plenty. The lack of business experience in the team may play a factor here as well. The links with QKC and QTUM are very promising in this regard as they will set the standard of quality for Celer Network and improve the likelihood of adoption amongst the market. The whitepaper is impressive and detailed which we like to see. An important aspect of the whitepaper is not only discussing challenges but also solutions to these challenges in which Celer Network has done. The partnerships with QKC and QTUM are very promising in our eyes. With both projects being well respected on-chain scaling solutions to blockchain the complementary partnership of Celer Network on top of these blockchains could lead to a next level solution to scalability! There is also demand from notable VC funds such as Pantera which will increase the demand in the community. Overall the off-chain scaling idea is not unique however their approach and technology to do so is. With the layered architecture and Celer economics along with the already made partnerships, Celer is looking in a strong position to grow as a leader of off-chain scaling as-long as they can put together an execution plan and adopt a few more business minded individuals. Celer Network uses blockchain to allow for a scalable, secure, private, easy to use, incentivised. platform. Using both blockchain technologies and cryptoeconomic mechanisms Celer has created a layered architecture – cStack. cChannel is the bottom layer of cStack and uses state channel and side-chain techniques to support fast and generic off-chain state transitions in the network. 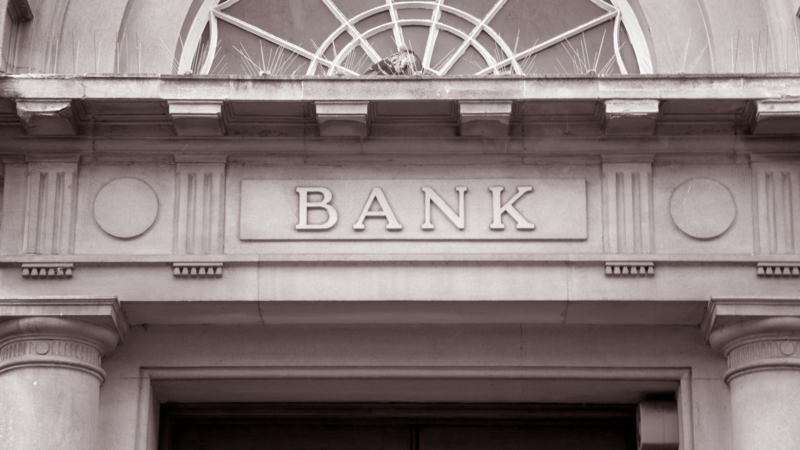 It also helps in maximizing the liquidity utilization. The cRoute aims to achieve a higher throughput using a optimal value transfer routing mechanism and provide a decentralized and fail proof system. cOS provides easy to use, common design patterns and manages the off-chain states. cApps offers an ecosystem in which the platform can scale out to off-chain transactions without compromising trust or decentralization ensured by the blockchain. There is also the cEconomy which helps resolve the trade-offs that are created by off-chain scaling such as the scalability vs liquidity and scalability vs availability trade-off. The three components of the cEconomy include a Proof of liquidity Commitment, Liquidity Backing auctions and state guardian network which are explained in more detail in the Technology section. The Proof of Liquidity Commitment is a virtual mining process in which miners have to commit idle liquidity to the off-Chain receiving CELR as a reward. Liquidity Backing Auction allows off-chin service providers to solicit liquidity through crowd lending. State Guardian Network is a side chain that protects the states when users are offline. The cryptoeconomics creates a dynamic token model and uses blockchain throughout. The MVP was released in May which is a full-stack NVO demo on Ethereum. It is called Gomoku which allows for a trustless no witness environment in which anyone can play and bet anywhere in the world. They now have to put the features into a user-friendly, highly scalable and low cost system. View the Gomoku video and article here. The token utility is dynamic and an integral part of the ecosystem. 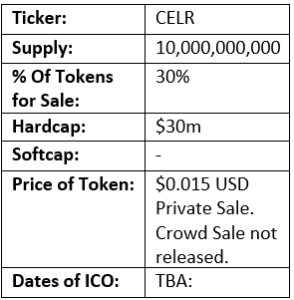 CELR is used by lenders to stake in the network for higher priority (Liquidity Backing Auctions). Guardians need to stake CELR into SGN to earn guarding opportunities and service fees from users and PoLC mining process locks in liquidity in Celer network for a long time by rewarding them with CELR tokens. Often Off-chain transactions processing can be seen as a form of centralization however it Celer is utlizing on-chain and off-chain methods with minimal comprising of the decentralization and trust offered by the blockchain. Off-chain platforms gains scalability by making the following trade offs. Scalability vs liquidity and scalability vs availability. These can be considered a challenge is resolving however Celer network has given the cryptoeconomic dynamic token system to resolve this using PolC, SGN and LIBA. The technological challenges mentioned above have been solved on a theoretical level only as of now, it is yet to show if the real life implementation of the technology solves the liquidity and availability issues along with maintaining the decentralized nature of the platform. Celers layered architecture seems to be offering a full scope off-chain scaling solution for blockchain. 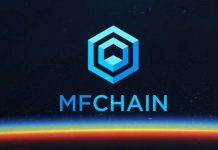 They have utilized the technology well and have accounted for the technological issues created through off-chain scaling. It is good to see the cEconomy to combat the trade-offs. The token utility model is impressive. Being utilized in three main aspects of the eEconomy it offers a dynamic and necessary aspect to the project and seems like a sustainable model. The Gomoku demo looks promising however it is very basic and the implementation of moving it to a user-friendly, more scalable and low cost system will prove to be more difficult than currently shown. Twitter has 5000+ followers and is very active in posting. There is currently no Facebook, No Bitcoin Talk or Reddit. The website is professional and structured with Access to the whitepaper, team, FAQ, roadmap, contact and social media. It seems streamlined with content not heavy but concise. Presence on Medium is picking up with 700+ followers and active posting of partnerships and weekly progress reports. AMA on YouTube live along with on Telegrams are common. No articles on recognizable websites/forums. There are Interviews with Notable youtube channels along with positive ICO reviews in the community. The CEO of Pantera capital says – ‘Celar has solutions to both routing algorithms and easy to use SDKs for developers’ The Founding Partner of DHVC says ‘Celer is first off-chain solution with not only comprehensive technology architecture but also with a token model design that provides true economic value to the platform.’ The CEO of FBG Capital says: ‘Celer is well positioned to connect a wide range of blockchain applications and public blockchain ecosystems together’. Both the CEO of Quarkchain and QTUM have both said very positive comments regarding their partnership with Celer Network and can be found in the Medium through the links in partnership section. There are many third party un-sponsored reviews by YouTubers ranging from the 5k to 40k Subscriber mark. 30k+ Telegram Members, Active chat and new organic members daily, steady 10k+ growth in past 2 weeks. The Admins are responsive to group and private messages. 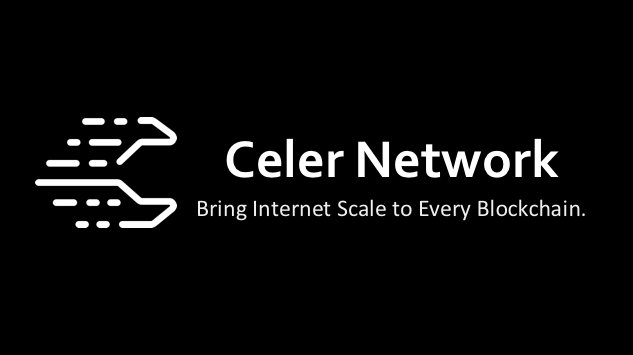 There is a Large Hype for Celer Network. The private sale is oversubscribed, Telegram has 30k+ active and new members every day, rapid growth with no Airdrop. Youtubers and 3rd party reviews have led to a confident and positive market sentiment with the QKC and QTUM communities adding to the hype and demand of the complementary off-chain scaling solution. The social media side for Celer Network is most popular through Telegram. Twitter and Medium are still active and the weekly updates are thorough and informative. It is good to see such a positive sentiment in the community surrounding Celer Network with both YouTube and ICO review communities speaking well of the technology and project. 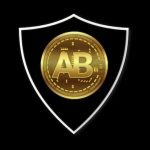 They seem to be slightly lacking press releases in notable websites, however their large presence in the YouTube channel and ICO review space along with often AMA sessions makes up for it. It is very promising to see the CEOs of such prominent VC firms commenting positively on Celer along with the partners QKC and QTUM proving that Celer is the real player in the market. The telegram has very solid growth and the surrounding community is bullish and the demand high. Overall the social media side is dominated through telegram , and although the marketing does not seem very prominent, the hype built up is impressive and there is a large demand for the project continuing to grow every day! Token distribution is 30% PoLC mining rewards, Off chain ecosystem building, 30% all token generation event, 20% Team and Advisors with a 2 year vesting period and 20% Foundation reserve with a 2 year vesting period. The Hard cap for private sale $23m price $0.015 USD with a vesting period of 9 months. The vesting clock starts from private sale closing in which 1/3 every 3 months will be released. No Price to compare the bonus to. They have come through on promises of roadmap up to date including the MVP. Q3 2018: SDK Private beta release, Generalized state channel contract release + more. Q4 2018: SDK pulbic v1 release. First off-chain service provider launch. PoLC mainnet launch Q1 2019: Public version V2, LiBa and SGN Testnet Launch + More Q2 2019: Mainnet for cEconomy launched along with SDK V3. Q3/Q4 2019 Large scale cApps ecosystem, Public version 4 release, cross chain interpeobility. The fund breakdown does not disclose the usage of ICO funds only the total token allocations. The vesting periods of 2 years are strong and will help the confidence of the projects long term prospects. The hardcap of $30m seems high, especially in the current bear markets. Although the project is tech heavy, we believe it is too high for today’s standards of raising funds in ICOs. The private sale consisting of $23m out of the $30m will lead to a worry of dumping the ICO upon listing on exchanges however their has been a vesting period of 9 months split up into 3 month blocks with the bonuses from private sale. There is no mention of the current token price or discounts offered for the private investors, although we do know the private sale value. The roadmap seems promising, especially with the fact they have met the deadlines and promises upto now regarding the MVP. The entire system is not due until the end of 2019 which seems stretched and not ideal for the ICO investor who Is not long term minded. 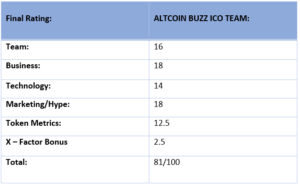 Overall the hardcap seems a bit high, however the project is tech heavy and should prove to be an innovation in the industry with great partnerships forming. It Will be good to see the fund breakdown of ICO funds soon to make the project more transparent. The vesting periods are great and instill confidence in the investor however the roadmap seems to long for our liking. The partnerships with QKC and QTUM along with the oversubscribed pre-sale shows real merit and demand for the project. We view Celer Network as a strong contender in the off-chain scaling space and think it deserves a few extra points to the it’s overall rating! Overall, we believe the Celer Network team is very intelligent and has the relevant technical expertise for such a project. Off-chain scaling solutions are not unique and their is plenty of competition, however their layered architecture and Celer economics along with the already made partnerships put them in a strong position to grow as a leader in the space. 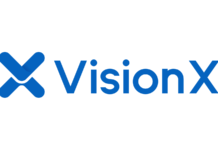 They have utilized both blockchain technologies and crypteconomic mechanisms well and there is a great build up of hype for the project with the demand continuing to grow every day. The downsides at the moment for Celer Network come in regard to the slight lack of blockchain and business management experience amongst the team along with the technological challenges being solved theoretically but not proven successful in implementation yet. The roadmap is also quite stretched which allows for potential competitors to enter the market and other problems. We view Celer Network as a strong project and its great tech team, excellent partnerships and high demand puts them in a strong position moving forward! Next articleWatch Out for Crypto Scam Bots on Twitter. There Are At Least 15 000!